Hi there, and welcome to Mindahome. Please, make yourself at home! Founded in 2008, we’re all about making it as simple as possible for home and pet owners to connect with reliable, experienced house sitters. Over the years, we’ve done exactly that – facilitating many thousands of positive house sitting experiences for our members across Australia. You can read their stories here. Never ones to rest on our laurels, in October of 2016 we launched a brand new website influenced by our valued members. It’s widely recognised as the most user-friendly house sitting platform available, and has earned high google rankings for the main house sitting search phrases used today. These rankings mean more home owners and sitters are using Mindahome than ever before, giving you the best possible chance of finding the perfect sitter or home. Today, our team of four dedicated people uphold our high standards of customer service and keep our active community happy by acting on their feedback. After all, it’s our members that make Mindahome so great. Of course, we can’t do it alone. In fact, Mindahome would be nothing without our wonderful members. We’re frequently amazed by the kindness, hospitality, and good humour shown by the home owners and sitters who form our community. It’s a pleasure and privilege to connect such a great group of people – and we hope you’ll join us! It’s the easiest to join – in fact, it takes just one simple step! It’s also the easiest to use, with the simplest search and navigation functionality around. It leverages the power of google maps – giving you the ability to see all listings Australia wide or by state. Once you’ve found a listing that appeals, you can click it to see the details and approximate geographic location. It’s affordable. House sitters pay a low $59 for 12 months membership, giving them access to hundreds of house sitting opportunities Australia wide. For home owners, it’s absolutely free. It’s supportive. All Mindahome members receive our free ‘Guide to House Sitting’ eBook – an invaluable tool for new and experienced home owners and sitters. For technical help, we have a comprehensive Knowledge Base, a User Manual which is accessible once you join up, or you can always contact us directly. Finally, it’s expansive. To find your perfect sitter or home, you need access to a big community of people. For home owners, we have thousands of house sitters Australia wide. 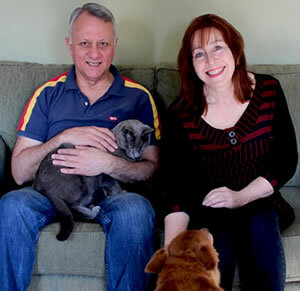 For house sitters, we have hundreds of new house sitting opportunities added each week. With Mindahome, we’re confident you’ll find your perfect match! We’d love you to browse our listings, imagine the possibilities, and then join our community. We promise you'll enjoy the experience !